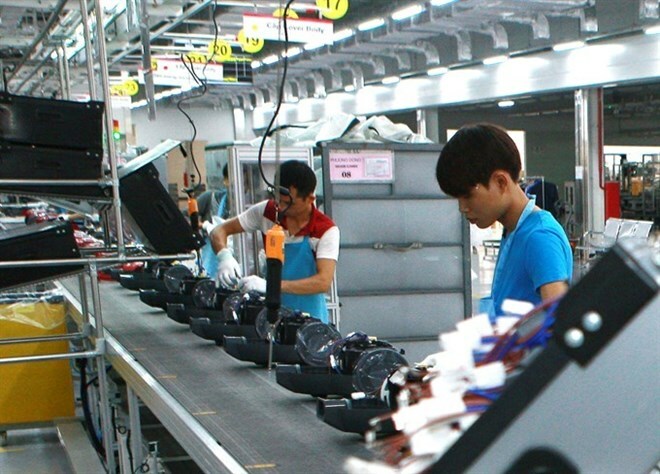 Hanoi (VNA) - The Vietnam Manufacturing Purchasing Managers’ Index (PMI) rose in September, with faster rises in output, new orders and employment on the back of stronger customer demand. This was revealed on October 2 by the latest survey from Nikkei’s IHS Markit. The composite indicator of manufacturing performance stood at 53.3 in September, up from 51.8 in August. The reading signalled a solid monthly strengthening of business conditions, with the rate of improvement the most marked since April. The health of the sector has now strengthened in 22 consecutive months. “The anecdotal evidence has highlighted an improvement in customer demand over the month. This resulted in a sharp and accelerated increase in new business, the most marked in five months. The rate of expansion in new export orders also quickened in September,” the Nikkei’s IHS Markit reported. The manufacturing output increased for the 11th successive month, with the latest rise the most marked since April. All three broad sectors saw a production increase, led by consumer goods firms. Higher new orders contributed to capacity pressures, as signalled by a further rise in backlogs of work. Some panellists also mentioned that staff shortages contributed to the build-up of outstanding business. Firms responded to greater workloads by increasing their staffing levels. Moreover, the rate of job creation quickened to a six-month high, according to the report. Manufacturers also used inventories to help fulfill new orders in September. As a result, the stocks of finished goods decreased for the third month running, and to the greatest extent since July 2016. “A marked acceleration in the rate of input cost inflation was recorded, linked to higher prices for raw materials, including those sourced from China. The increase in input costs was the strongest since May 2011. Rising input prices led firms to increase their output charges in September for the first time in five months. That said, the rate of inflation was modest amid reports of competitive pressures,” the report showed. Higher new orders, and a subsequent rise in production requirements, encouraged firms to increase their purchasing activity at the end of the third quarter. The rate of expansion was solid, and the fastest since April. Stocks of purchases also rose, partly reflective of efforts to build inventory reserves, it added. Suppliers’ delivery times continued to lengthen, albeit to the least extent in the current eight-month sequence of longer lead times. Finally, manufacturers remained optimistic that the output would increase over the coming year, with positive sentiment linked to predictions of a new growth order and business expansion plans. "New orders rose markedly, feeding through to faster expansion of output, employment and purchasing activity. Manufacturers are, therefore, well placed to record further growth during the final quarter," said Andrew Harker, associate director at IHS Markit.